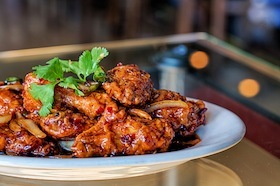 Located in the White Bear Township shops adjacent to the White Bear Township theater, the Orchid Restaurant is owned by the Nguyen family who also own two restaurants in France. 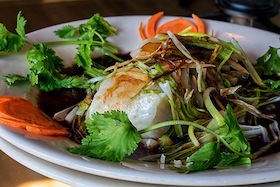 The fresh, distinctive flavors of Vietnamese and French cooking are well represented on the Orchid Restaurant menu. 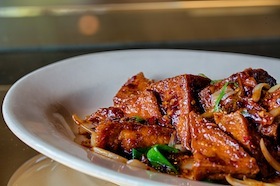 Chinese and Thai dishes are also featured. Additional restaurant services include children’s, vegetarian, and gluten free menus as well as gift certificates and catering. The restaurant offers selected wines to compliment their menus and a full bar. Start your Orchid Restaurant experience off with one of our mouth watering appetizers from Honey Walnut Shrimp to Calamari Delight. If you’re looking for something light, our soups & salads are the perfect combination of simple, wholesome & a great compliment to any entree. These menu items are what our loyal customers are currently lining up for. Be sure to sample the Salmon for a taste of something new. Lemon Chicken, Mongolian Beef, Sweet and Sour Variety and so much more! Click the link below for the full, delicious menu of Orchid entrees. 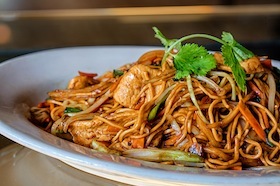 Our traditional and specialty noodles and rice can not be beat. Try any of our combinations to give your taste buds savory satisfaction. Orchid Restaurant has all of your dietary needs covered. 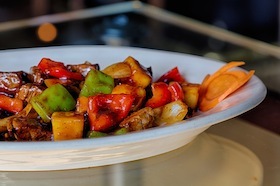 We’d be happy to assist you in choosing one of our flavorful vegetarian dishes. 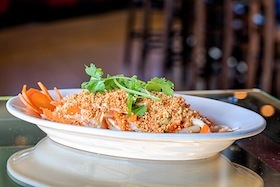 Stop by for happy hour, lunch or dinner and taste the delicious flavors of our unique Vietnamese and French cooking!